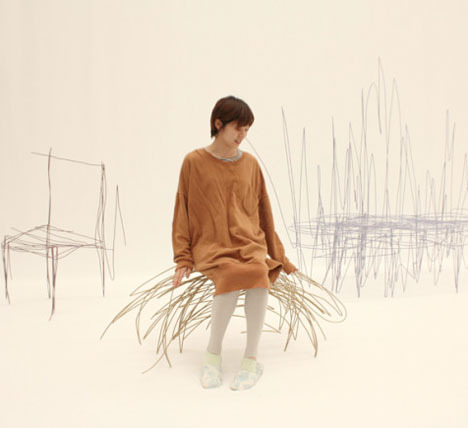 These images may look like people photoshopped onto a background of sketches, but look again – those scribbles are actual, three-dimensional furniture. 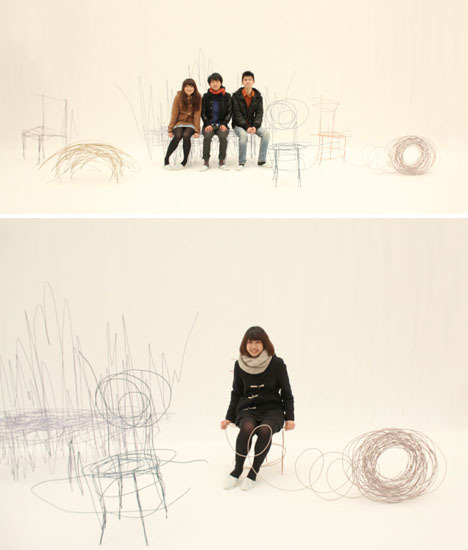 Art student Daigo Fukawa of Tokyo University for the Arts created a collection of chairs and benches that seem like they just magically popped up off the paper. 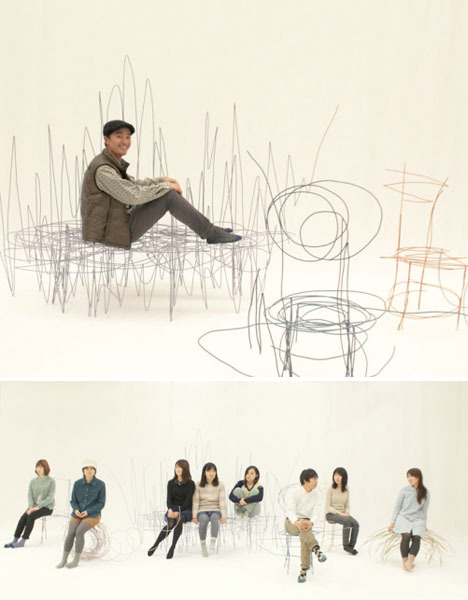 Made for his senior thesis, the series of optical illusion furniture appears to be made from welded metal, and while it’s probably not the most comfortable seating anyone has ever experienced, it’s definitely cool to look at, undoubtedly eliciting plenty of double-takes in person. See lots more unusual, creative and transforming furniture including convertible designs, flat-pack furniture, recycled pieces and brilliant bookcases.